SALES	TechSource offers sales of products and services designed with you in mind. Our team of world-class vendors is here to provide you with quality products to drive your business forward and keep you on the cutting edge of hardware and software technological advances. SERVER VIRTUALIZATION	Complete virtualization of servers with High Availability and virtually no down time because of hardware failures. Rapid snapshots of your virtual server every day, every hour, or every five minutes, no matter the size. Flexible addition of new virtual servers when you need them. MANAGED SERVICES	TechSource offers options to bundle equipment and services into one fixed monthly price. This model provides a cost-effective way of upgrading, managing and supporting your entire IT infrastructure. Managed services is an option which gives clients a strategic edge by being pro-active instead of waiting for something to break or become outdated. HOSTED EXCHANGE	Microsoft Hosted Exchange is an advanced productivity solution featuring corporate class email, as well as calendaring, tasks, and contact capabilities delivered to your desktop, laptop and mobile devices. WIRELESS SOLUTIONS	A company’s network is its gateway to the world. 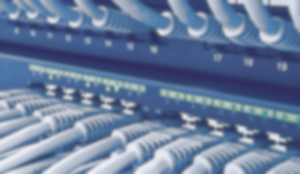 At TechSource, we understand that building and managing reliable networks is more than physical wires and routers. Our industry certified staff can design and maintain an efficient wired and wireless network to meet any demand you require to run your business. SOFTWARE DEVELOPMENT	At TechSource, we strive to build IT solutions to fit your business. Our software development team has the experience to develop software that fits your current business workflow and methodologies. We put you in control of the software that runs your business. We want to be your network and computer support company. TechSource is a Mississippi network consulting company servicing Madison, Ridgeland, Jackson, Clinton and surrounding areas. We offer a broad range of services for the small to medium-size business, including hardware and software support, networking support, hosting, remote support, and more. Our company’s goal is to provide its customers with the best service and support around. TechSource technicians are not only industry certified, but also possess the experience and knowledge needed to help keep your business running at optimal performance. TechSource can cover all of your company’s IT needs. We are here to help you with live remote technical support. Click the button Below.